A uniquely designed folded greetings card in the shape of a butterfly, that really stands out. 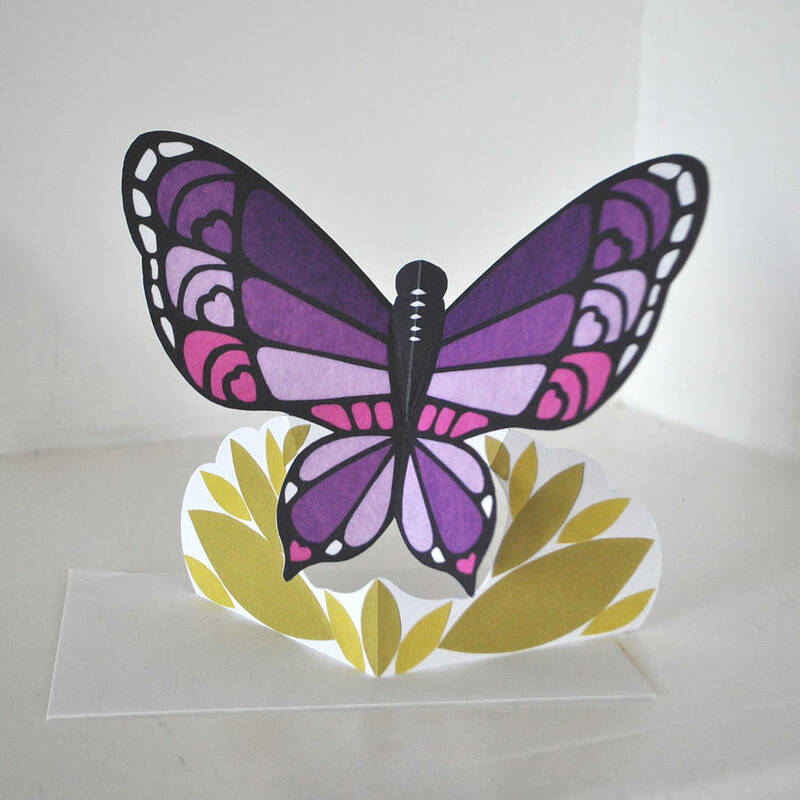 The butterfly has landed, and who doesn't like flutter-bys? They manage to cheer up any sole on a cloudy day. 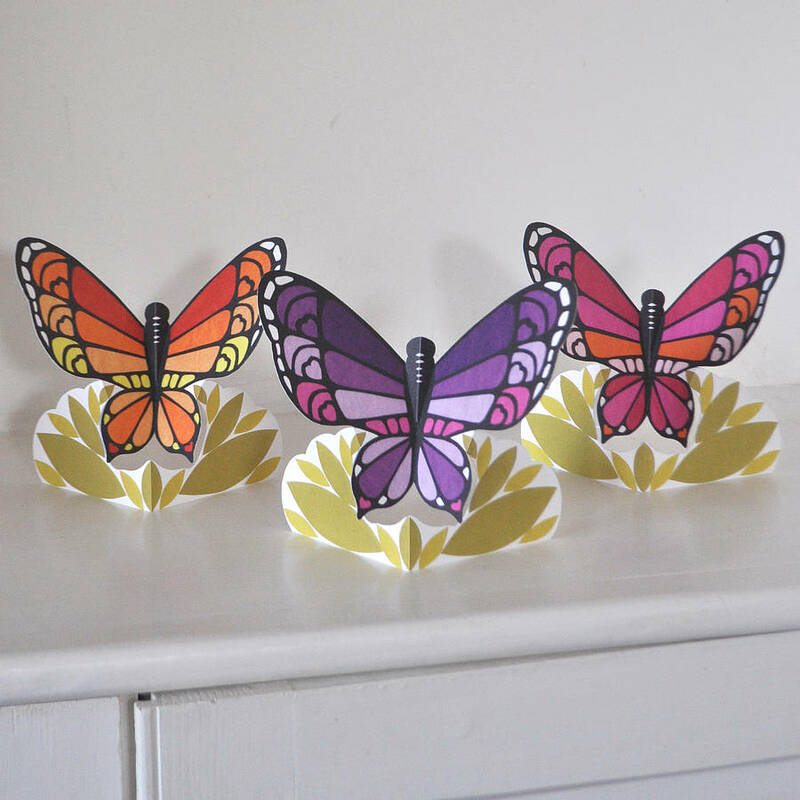 Do you have any friends or family who love lepidoptera, any keen gardeners, or just know someone who appreciates the nature around them on a sunny day? Then this would be the card for them. This card can be used for all occasions whether it's birthdays, christenings, mother's day or a simple note to say 'hi'. The inside, and rear of one wing, are left blank for your own message. I've designed it in three colours ways, orange, pink and purple. All very bright and cheerful, and pretty girly. 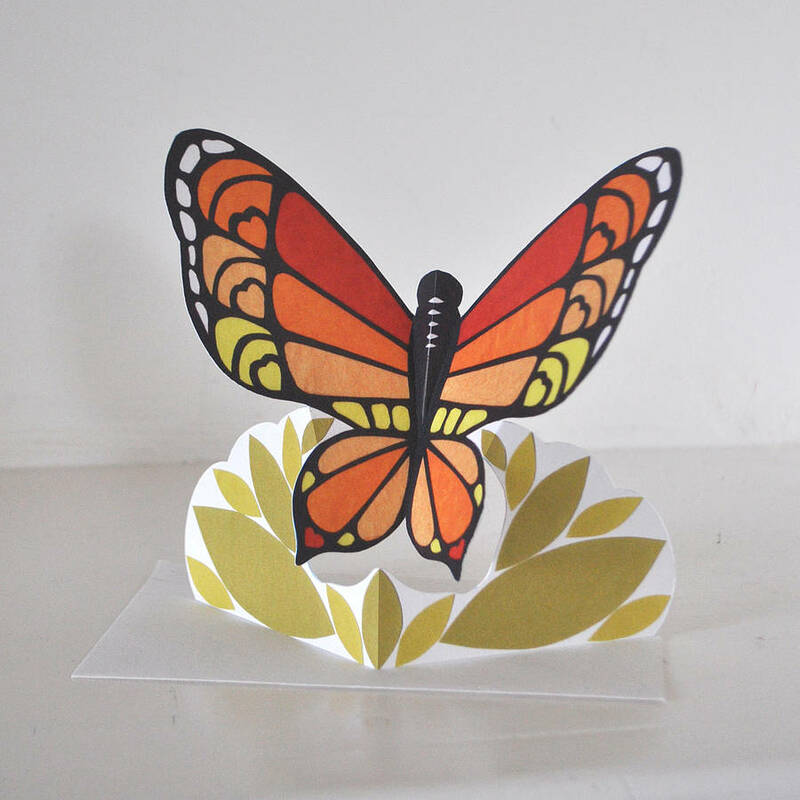 The butterflies have been printed on a high-quality card with a felt textured finish (that has been responsibly forested - FSC). The envelope is made using a 100% recycled paper, and the cello bag is made from corn starch so is fully biodegradable and compostable. When folded the card is approximately 160 x 95 mm, and comes with a C6 envelope.